CGI objects deceptively resemble the reality we are familiar with. The generated colours, shapes, and textures imitate the original equivalent with astounding delicacy. Our palpable objects stand their ground perfectly in our simulated reality, where the laws of physics are unknown. The possibilities provided by CGI go beyond the simple imitation, moreover technology exceeds the boundaries of its genre. The virtual objects have become more and more sophisticated and detailed, hereby visual effects multiplied which was unimaginable before. Besides all this these effects needn’t reckon to mirror nature for its own sake as their duty. This technological development doesn’t put the human in its center in the least. This kind of humanless anthropocene environment helps in the creation of intimacy between observation and imagination. Though the incomprehensible space coming into existence such way ranges with reality in its elements, but it rather combines, mixes and varies it. Therefore objects existing in the laws of reality get into an intangible environment devoid of effects. 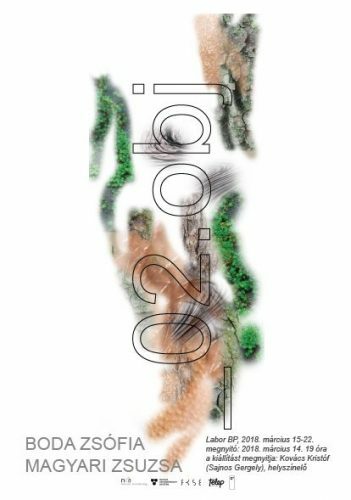 ‘_02.obj’ the project of Zsófia Boda and Zsuzsa Magyari conquers this kind of environment and the questions surrounding the topic with the tools of fine arts. date: 14th-22nd of March 2018.
opening: 7pm 14th of March 2018. The exhibition will be opened by Kristóf Kovács (Gergely Sajnos), crime scene investigator. A kiállítás megtekinthető: 2018. március 14 – 22. A kiállítás a Nemzeti Kulturális Alap és a Telep Galéria támogatásával jött létre.